NOW - Flax Seed - 1 lb. - Organic, Non-GE NOW - Melatonin 3 mg - 60 Caps NOW - Orange Oil - 1 oz. Flax seeds are thought to have originated in the ancient Middle East during biblical times. They are an important source of polyunsatured fatty acids, including Omega-3, plus Magnesium, Zinc and dietary fiber. Flax oil from flax seeds is the richest known source of linolenic acid. It contains protein, mucilage, phytosterols and lignans, which are naturally included at 100 times the level of the next best source, wheat bran. Research indicates that Melatonin may be associated with the regulation of sleep/wake cycles. Melatonin is a potent antioxidant that defends against free radicals and helps to support glutathione activity in the neural tissue. * Ingredients: 100% pure orange oil. Aroma: Fresh, sweet orange peel. Benefits: Refreshing, uplifting, invigorating. Try "Exotic Nights" or "Blues Relief" - two recipes using Orange Oil. Condition: For skin in need of clean and natural nourishment, as a moisturizer or for massage.Solution: 100% Pure Almond Oil is a natural oil that's perfect for nourishing and reviving any skin type. 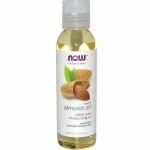 Almond Oil is easily absorbed and won't clog pores, promoting clear, soft, healthy skin. This natural skin-nourishing oil is ideal for the entire body. Almond Oil is a natural oil derived from pressed almonds. Vegetable-derived oils date back to Biblical times, when they were mixed with fragrant herbs to create traditional ointments. Melatonin is a hormone produced by the pineal gland of mammals. 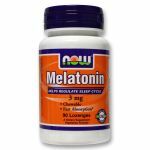 Research indicates that it may be associated with the regulation of sleep/wake cycles.Melatonin is a potent antioxidant that defends against free radicals and helps to support glutathione activity in the neural tissue. * Get answers from an expert. For product information please contact our nutritionists at Sundrops.com. Aroma: Fresh, strong mint. Benefits: Revitalizing, invigorating, cooling. Try Energizing or Headache Ease - two recipes using Peppermint Oil. Don't let a swarm of hungry mosquitoes ruin an evening of outdoor fun. 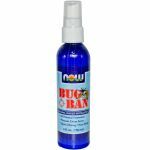 NOW Bug Ban is a natural insect repellent that helps prevent insect bites without the use of harsh chemicals.By combining essential oil extracts from Citronella, Lemongrass, Rosemary and Thyme, NOW Bug Ban offers protection against some of today's most annoying winged intruders. Anti-inflammatory omega-3 from fish oil is linked to better heart and eye health, better mood and lower pain levels. From the FDA's website: Supportive but not conclusive research shows that consumption of EPA and DHA omega-3 fatty acids may reduce the risk of coronary heart disease. 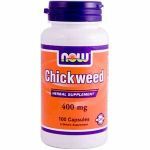 Chickweed is a common wayside herb that is considered a nuisance by gardeners but revered by herbalists for its soothing internal and external applications. Capsules may be opened and added to hot water and consumed as a tea or applied to the skin as a salve in any ointment base, such as olive oil. Devils Claw (Harpagophytum procumbens) is native to the southern regions of Africa and gets its name from the hooks which cover its fruit. It is a traditional folk remedy of tribal African peoples and has also been used by Europeans and Canadians. 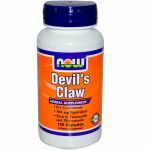 Devil's Claw contains a number of naturally occurring beneficial compounds including phytosterols, flavonoids and phenolic acids. Xylitol is a sugar alcohol that is naturally present in small amounts in various fruits and vegetables. The finnish name for Xylitol is koivusokeri, or birch sugar, a reference to the extraction of Xylitol from birch bark. Considerable amounts of Xylitol are formed in the body every day as a result of normal metabolic processes. Although it is classified as a carbohydrate, this sweet crystalline substance is slowly absorbed from the digestive tract and does not cause rapid rises in blood glucose. In addition, the caloric impact of Xylitol is typically about 40% lower than other carbohydrates, making it a healthy addition to any diet. Discovered simultaneously by French and German scientists in 1891, Xylitol has been safely used since the 1970's as an ingredient in gums and candies due to its unique and clinically proven dental benefits. Xylitol is a sugar alcohol that cannot be utilized by bacteria in the mouth. More recent research in laboratory animals has also shown that Xylitol may support healthy bones. * The xylitol in this product is derived from a corn source.Since 1968 NOW has been committed to providing high quality, affordable natural foods, vitamins and personal care products. No compromises, no added costs, no unnecessary frills.In addition to our Xylitol Plus with Stevia, NOW offers Xylitol and Stevia separately for your convenience, in a variety of forms.We continue to provide certified organic or natural foods, grains, flours and seeds through health food stores. As a family owned and operated business, we offer the health-conscious consumer three generations of honesty, quality, purity and commitment. 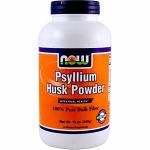 NOW - Psyllium Husk Powder Vegetarian - 12 oz. 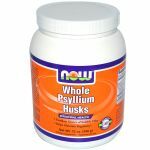 NOW - Whole Psyllium Husks - 12 oz NOW - Erythritol Natural Sweetener - 1 lb. 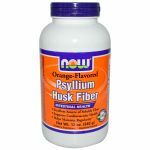 This popular version of our tablet-based product is pleasant tasting and mixes easily with your favorite liquids.&nbsp;&nbsp;Known for their uncanny ability to bulk over 100 times their original density, Psyllium Husk Powder offers an excellent source of natural fiber, essential to the promotion of digestive regularity. * Psyllium is a true dietary fiber, even though it is classified by some as a laxative or mucilaginous fiber, and is a convenient way to increase intake of dietary fiber because of its high mucilage content. This bulking agent swells considerably when added to liquid, which can help to support healthy gastrointestinal transit time. This bulking action and healthy transit time can play an important role in maintaining healthy gastrointestinal function. * Erythritol, a ployol (sugar alcohol), is a good-tasting sweetener which is suitable for a variety of reduced-calorie and sugar-free foods. It can be used as a sugar substitute in most sugar-free recipes. Erythritol has been part of the human diet for thousands of years due to its presence in foods such as pears, melons, grapes and mushrooms. NOW Erythritol is 100% pure and derived from a corn source. Erythritol resembles sugar in consistency and taste but has a caloric value near zero. It is also a great sugar alternative for diabetics. 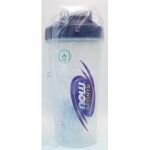 Zero Calorie Sweetener Certified Organic Serving Scoop Enclosed! NOW BetterStevia is a zero-calorie, low glycemic, certified organic sweetener that makes a perfectly healthy substitute for table sugar and artificial sweeteners. Unlike chemical sweeteners, NOW BetterStevia contains pure Stevia extract. NOW Foods takes special measures to preserve Stevia's natural qualities in this unique, pure, better-tasting Stevia.Read more about Stevia from Your Health Professor Product FAQ's Aroma: Fresh, sweet orange peel. Benefits: Refreshing, uplifting, invigorating. About Orange OilView all of our recipes Selenium is an essential trace mineral and functions as part of the antioxidant enzyme glutathione perioxidase. It is bonded to the essential sulfur amino acid, methionine, in a naturally occuring form as found in the diet. Selenium is found most abundantly in Brazil Nuts, organ meats, seafood, and wheat germ. *From the FDA's website: Selenium may reduce the risk of certain cancers. Some scientific evidence suggests that consumption of selenium may reduce the risk of certain forms of cancer. However, FDA has determined that this evidence is limited and not conclusive. Coenzyme Q10 is a vitamin-like compound also called ubiquinone. It is an essential component of cells and is necessary for mitochondrial energy production. Years of research has shown that CoQ10 supports healthy cardiovascular and immune system functions in addition to its vital role in energy production. * NOW CoQ10 is Pharmaceutical Grade. NOW uses only the 100% natural, all-trans form of CoQ10.Supportive but not conclusive research shows that consumption of EPA and DHA omega-3 fatty acids may reduce the risk of coronary heart disease. Coq10 helps all your cells and your whole body make energy. It is depleted by statin drugs and is particularly important for heart health.Anti-inflammatory omega-3 from fish oil is linked to better heart and eye health, better mood and lower pain levels. Glucosamine Hydrochloride (HCl) is considered to be as stable and as effective as other glucosamine compounds. 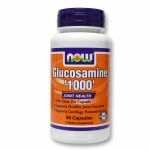 Our Glucosamine 1000 contains the highest grade glucosamine at a significantly lower cost than glucosamine sulfate. 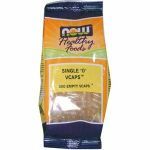 Empty Vcaps are a new alternative to animal gelatin capsules. They are composed on inert vegetable cellulose and do not interfere with the digestion and absorption of the ingredients contained within. Empty capsules allow you to fill your own powders at desired potencies, and avoid tablet binders and fillers. Buying powdered vitamins and filling your own capsules can save up to 50% off most retail prices. 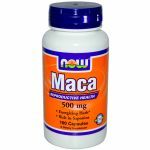 Our Vcaps, depending on the powder, can hold between 408 - 816 mg.
NOW - Psyllium Husk Fiber - 12 oz. 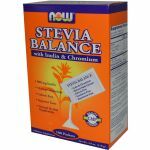 NOW - Stevia Balance with Inulin and Chromium - 100 Packets NOW - XyliWhite™ Refreshmint Mouthwash - 16 oz. Psyllium is a true dietary fiber, even though it is classified by some as a laxative or mucilaginous fiber, and is a convenient way to increase intake of dietary fiber because of its high mucilage content. This bulking agent swells considerably when added to liquid, which can help to support healthy gastrointestinal transit time. This bulking action and healthy transit time can play an important role in maintaining healthy gastrointestinal function. * Stevia rebaudiana is a small plant native to Paraguay and Brazil. In 1887, its usage was recorded by a natural scientist named Antonio Bertoni who learned of the herb from the Guarani Paraguayan Indians. The Guarani Paraguayan Indians traditionally used Stevia rebaudiana to flavor bitter tribal beverages. Two French chemists named Bridel and Lavieille began to unravel the secret of Stevia in 19 with explatory extraction work on Stevia rebaudiana leaves. 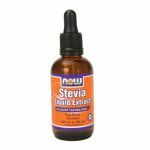 Their research yielded a pure, white, crystalline compound they named "stevioside" which is responsible for Stevia's flavorful properties. Our Stevia Extract is based on this research. Inulin is a fructooligosaccharide derived from chicory. As a prebiotic, it stimulates the growth of friendly intestinal flora to support good colon health. * It has a low glycemic index making it suitable for persons on certain types of restricted diets. Chromium is a trace mineral that is significantly reduced in the American diet due to the over processing of our foods. It is involved in a number of important bodily functions and is an effective synergist for Stevia and Inulin. Product FAQ's NOW Xyliwhite Mouthwash is an effective fluoride-free oral rinse that works in unique ways to help you achieve a smile that's healthier and brighter than ever before! 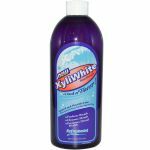 Xyliwhite Mouthwash gets its cleansing properties from xylitol - a naturally occurring sugar alcohol that has been shown in clinical studies to help promote dental health; effectively rinsing debris, such as food particles containing bacteria from mouth surfaces. Xylitol also helps safeguard healthy tooth enamel surfaces. By preventing the mouth's pH levels from falling below their normal range, Xyliwhite Mouthwash protects the enamel surface of teeth.